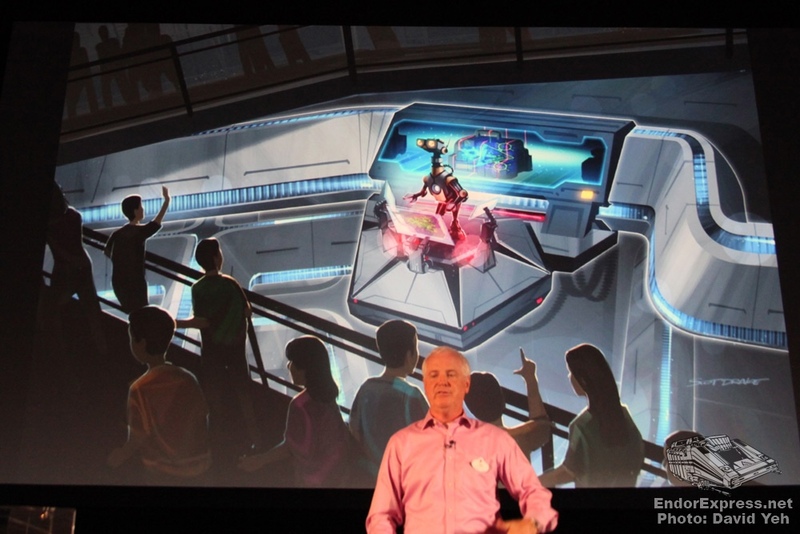 You can go back and read the first article about Star Tours here. Using the ATLAS technology, it is very easy to change the ride footage. 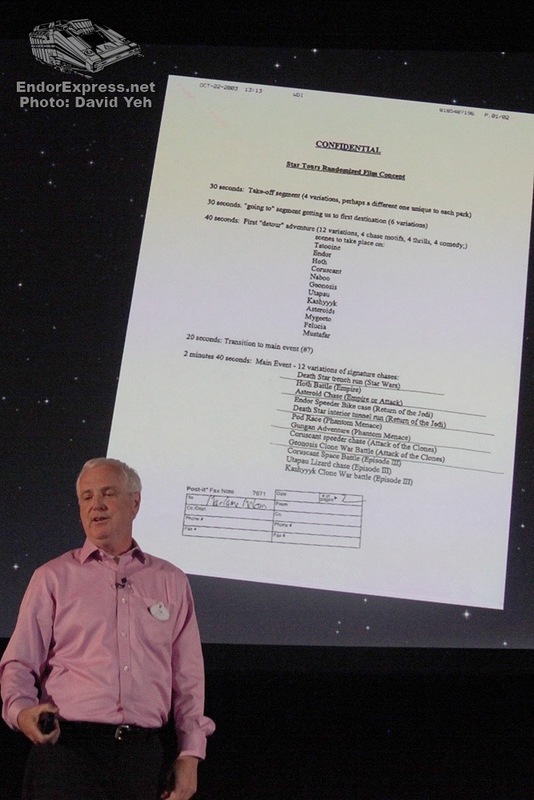 Tom Fitzgerald, the lead Imagineer for Star Tours, wanted to update the ride footage. 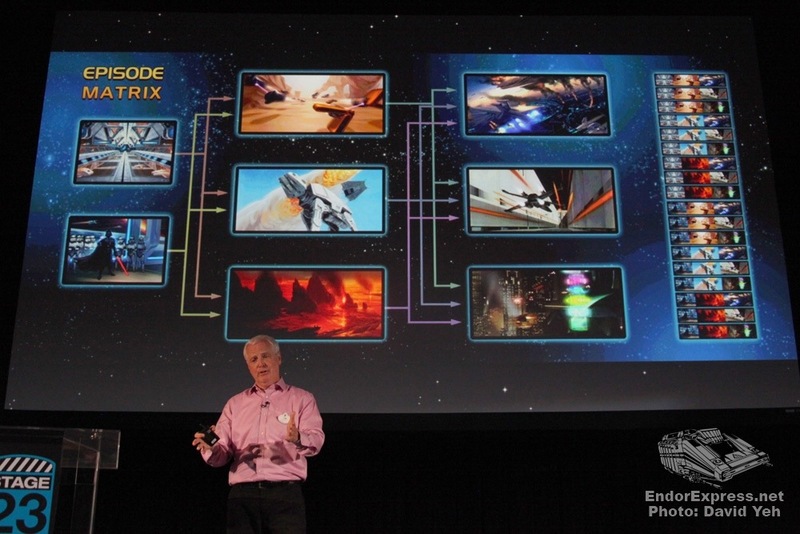 Lucasfilm was about to release Episode I in 1998, and George Lucas showed a clip of the pod racing sequence. 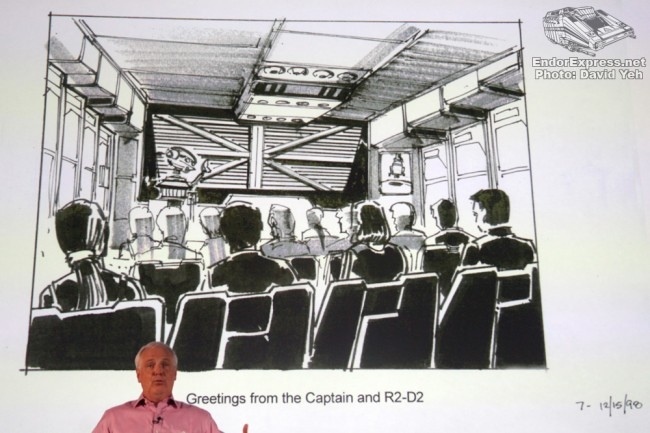 WDI thought this would be the perfect Star Tours II storyline. Captain Rex would still be the pilot. The queue rooms would be very similar. 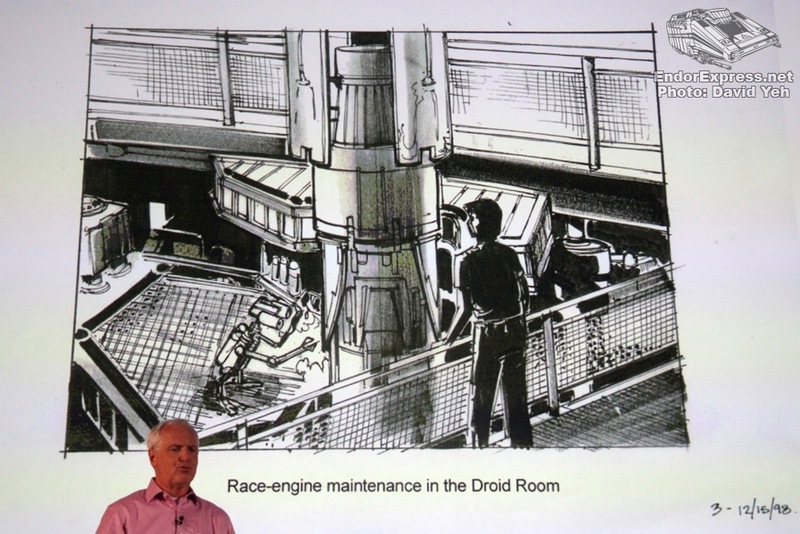 They would drop a large pod racing engine in place for the R5 droid that G2-9T was working on. 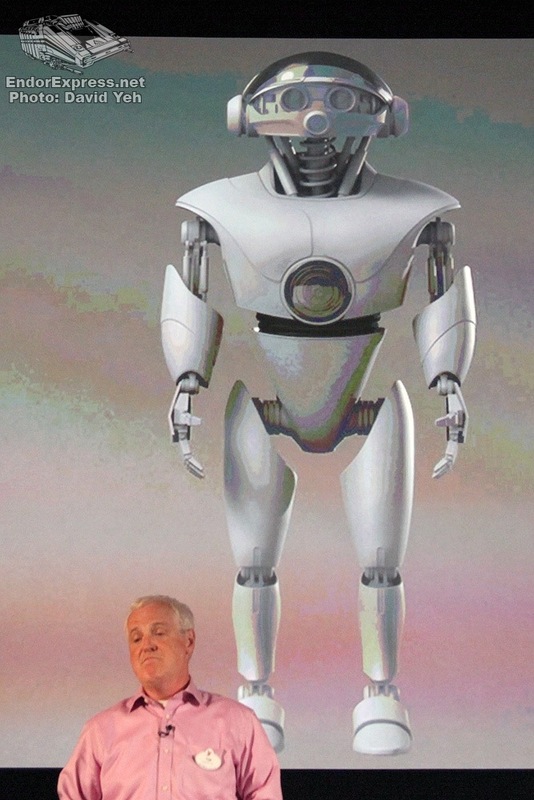 The dialogue in the droid room would also be upgraded. 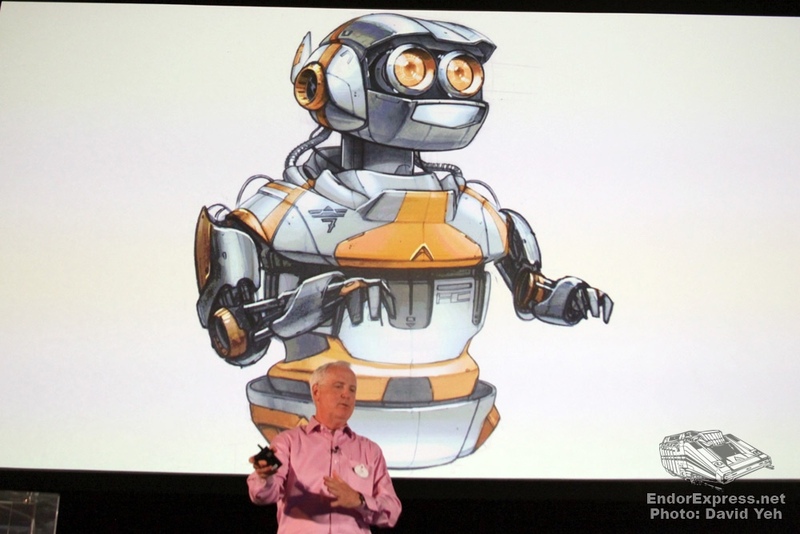 The upgraded attraction would have been in 3-D. 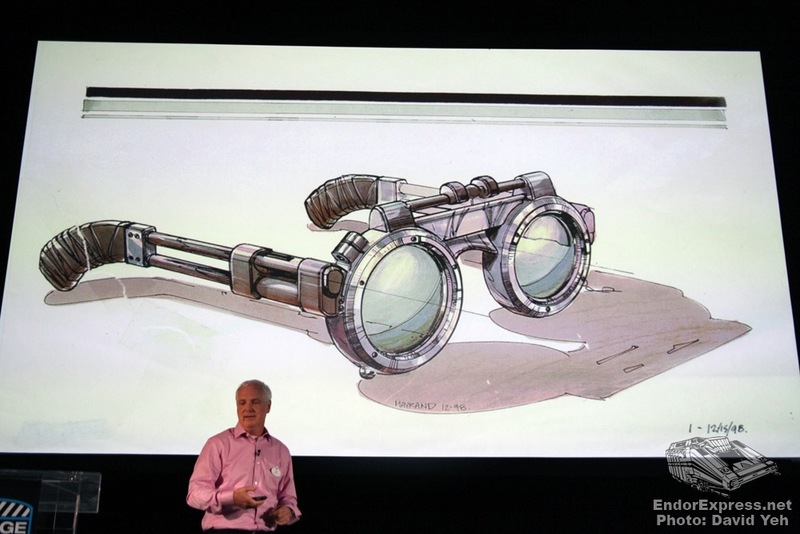 The glasses would be themed to pod racing glasses. 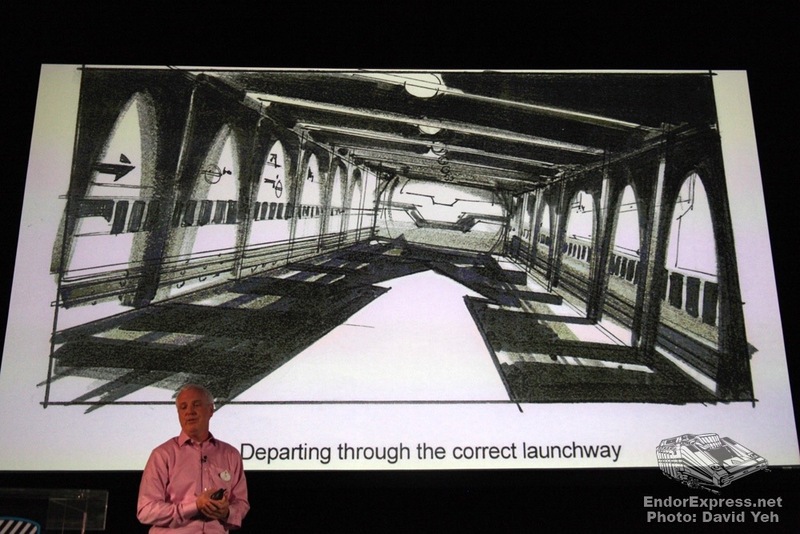 This film would start out in the same spaceport and you would fly out the correct doors, unlike in the first attraction. 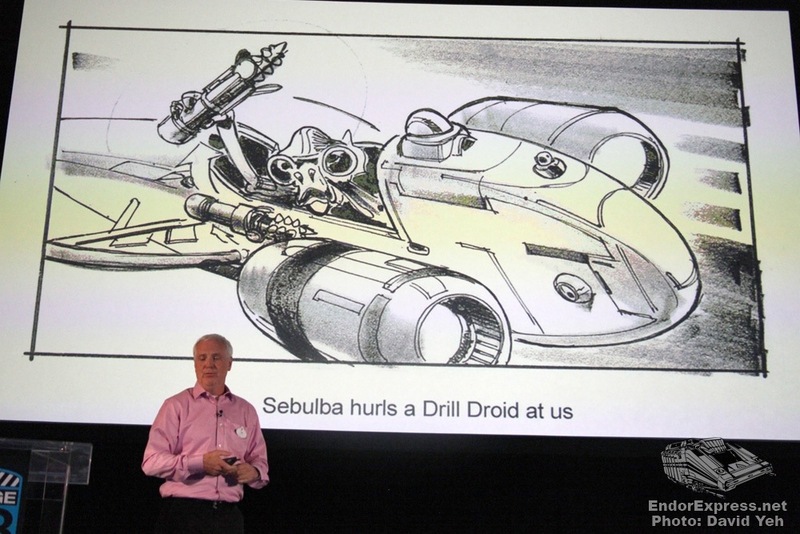 You would then enter the pod race and Sebulba throws a drill droid at us. 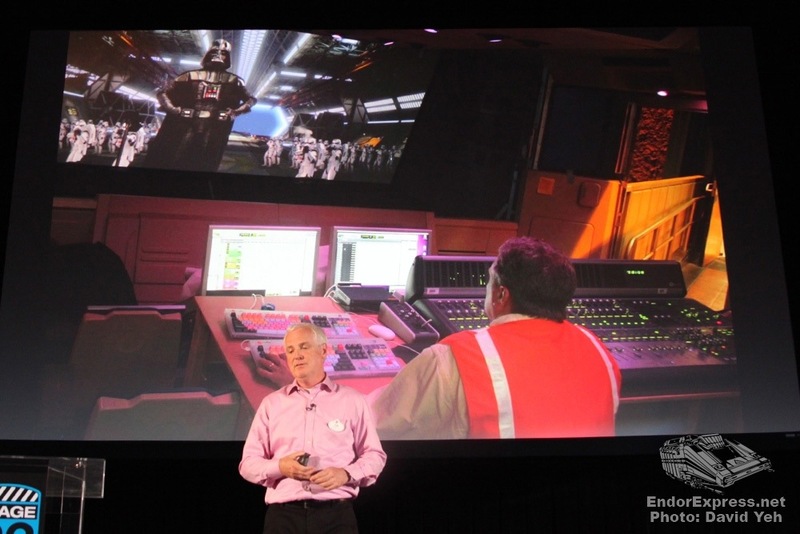 WDI was asking Lucas what will be in Episode II and he said that they have to wait. 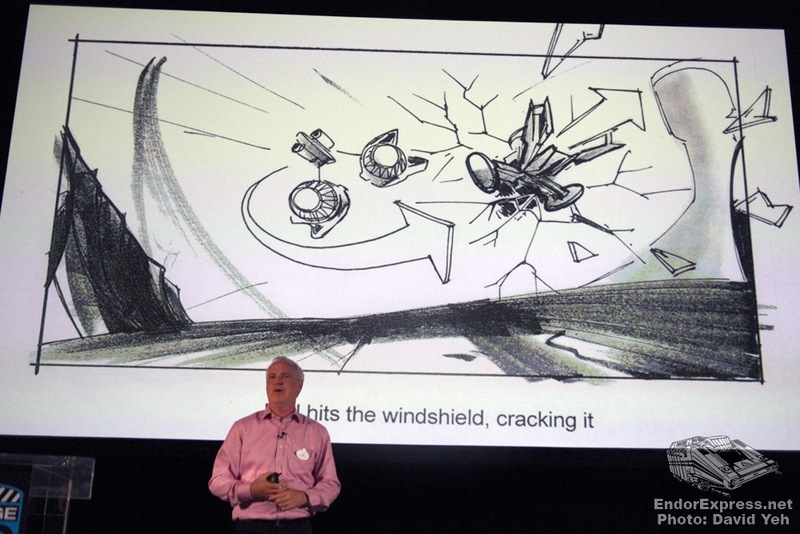 They began planing a new version that would feature a new pilot and different possibilities. 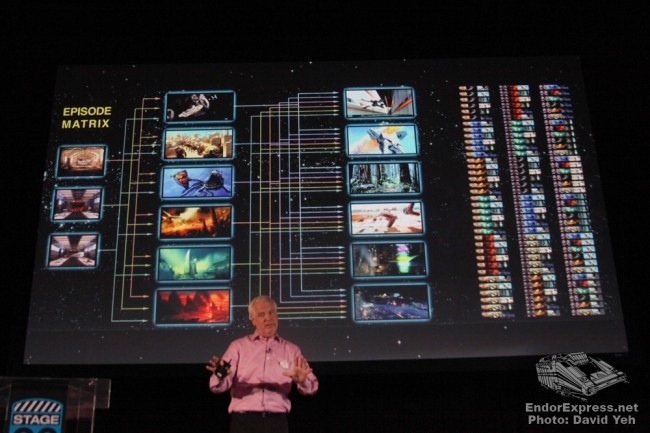 It was John Lasseter’s idea to change Mustafar to Kashyyyk. Now that they had settled on the destinations, they could work more on what the pilot, AC-38, would look like. They wanted the pilot to have the fear like RC-24, but AC-38 was very calm. 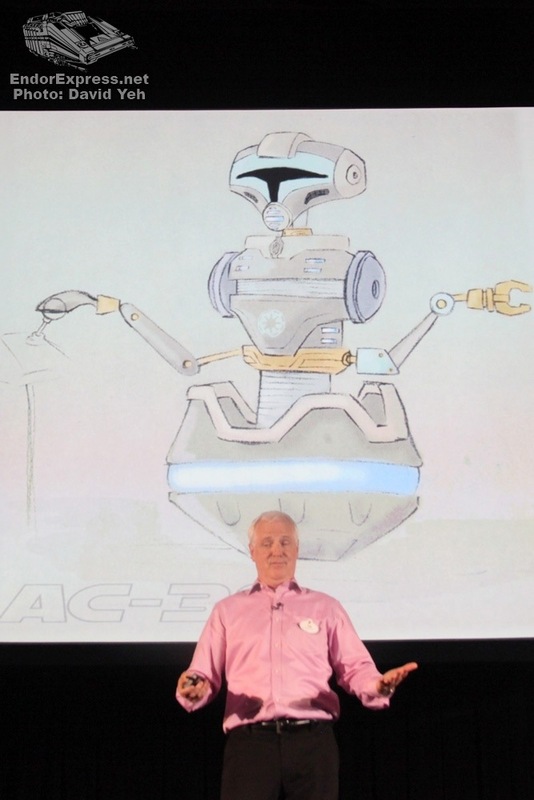 They suggested the idea that AC-38 is supposed to be the pilot, but C3PO is because he got in on accident. This lead to the story in the ride today. The nice thing about the remodel is that the ride had a very short time of closure. The ride film was made early. 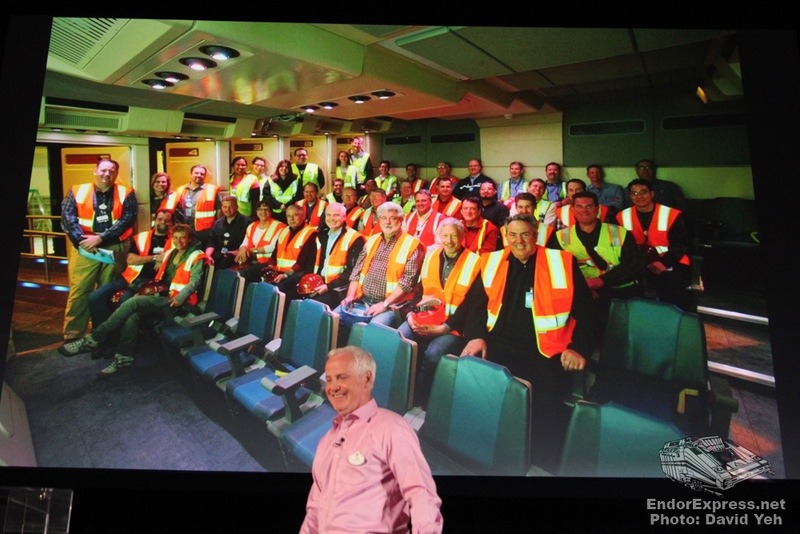 The only thing they had to do in the building was remodel the queue and the ATLAS simulators. Thanks to EndorExpreess.com for their pictures. Please share it by using the buttons below. You can like us on Facebook for pictures and in-park updates. You can email me at kolbykonnection@gmail.com. Do you think they will add some new segments to promote Episode VII?